Time is winding down for your chance to bid on Pitchfork Festival and Tom Petty tickets. So read on my fellow concert fans to see how you can get a piece of the action and scoop up a special Metro Live compilation and more to help out the kids. The truth is we wouldn’t be able to enjoy or celebrate live music if rock history’s kids never had the chance to learn how to play music. And it’s sad and scary to think about what if some of our favorite artists never even got the opportunity to make the transformation from fan to artist because they didn’t have the music knowledge or resources. Well thanks to non-profit organization Rock For Kids underserved children and teens do get the chance to learn music and play live so that some day they can rock the stage for future generations of concert fans. And this week Rock for Kids has a few ways you can help further and fund their worthy cause. The first way is an auction for 2 Three-Day Passes to Pitchfork Fest in Chicago at Union Park. Three day pass sold out quick so this is a great chance to help the kids and enjoy a rockin’ weekend of live music. Bidding info is here. The second is an auction for 2 Tickets to Tom Petty at United Center (07/17/10). The band has earned a spot on my top albums of 2010 (so far) with their latest album MOJO and seeing them live this weekend would certainly put a smile on the face of any Petty fan. Bidding info is here. The third way is to buy an upcoming compilation of live music. 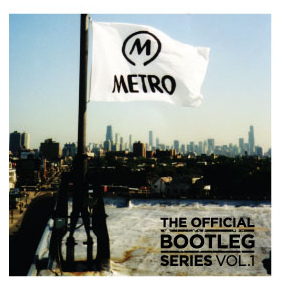 As noted by Rock for Kids, on July 22, Metro will celebrate it’s 28th Anniversary by releasing a live benefit compilation called Metro: The Official Bootleg Series, Volume 1. Proceeds from the sale of this CD will benefit Rock For Kids. Rock For Kids will be selling advance copies at their Pitchfork Booth on July 16-18th. CDs cost $20. 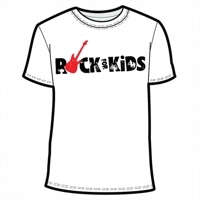 Last and certainly not least, you can help kids rock by pledging to buy a Rock For Kids t-shirt. At the time of this post, RFK is 48% of the way to their goal and they need 26 more preorders for this deal to go through. That’s all for now. Stay tuned for tomorrow’s Pitchfork Festival Preview and make sure to take advantage of the special release of additional Saturday and Sunday tickets that go on sale tomorrow at 11am July 15th only at the on-site box office.